CEDR's Training Faculty is comprised of over 30 professionals and offers a unique combination of legal and business backgrounds. CEDR's training is delivered by experienced mediators who draw on their experience to teach the skills and process of mediation from a practical, pragmatic view point not an academic or theoretical one. As most participants on mediators skills course are very experienced and senior professionals the training style of adult-to-adult is critical. Therefore CEDR trainers are not only experienced mediators but also experienced trainers, skilled in the techniques of adult learning. Having trainers from diverse professional backgrounds adds to the richness of training and mediation experience being delivered to the participants. The CEDR faculty is made of many different professionals including, lawyers, accountants, business people, HR professionals, architects, teachers and police. While it is easy for individuals to stand up and present information, for training to be most effective a group of trainers must work together well to ensure efficient management of the course and quality delivery of the learning. The CEDR team work together regularly and therefore know how to work together to ensure high quality delivery of training. As with any professional, mediation trainers need to ensure they are constantly reflecting on their practice and developing their own skills. Each CEDR faculty trainer receives delegate feedback on their coaching after each course. In addition the whole faculty must attend 2 days of professional development training each year organised by CEDR. Mr. Danny McFadden is a member of CEDR Faculty, he has been a CEDR Director since 2004 and is dually qualified as a lawyer both in Australia and the UK. He has been involved in negotiation, conflict resolution training, mediation and international business for over 20 years. After completing his Masters in Commercial Law he specialised in dispute resolution and international trade. Now based in Hong Kong, and as a CEDR & HKMAAL Accredited Mediator, Danny mediates regularly in the commercial, international trade, property and workplace mediation sectors with a particular expertise in cross-cultural/multinational disputes. Danny is a member of the Hong Kong Steering Committee on Mediation, International Ombudsman Association, Law Society of England and Wales, Civil Mediation Council, International Bar Association, World Jurist Association, Asian Lawyers Association, 48 Group, British Expertise and a Fellow of the Chartered Institute of Arbitrators. He is currently serving on Mediator Panels: United Nations Mediation Division New York, ADR Chambers, CEDR Solve, World Bank Group and CCPIT Mediation Centre Beijing. He is also a Council Member, Lead Assessor as well as the Chairperson of the Assessor Working Group of the Hong Kong Mediation Accreditation Association Limited (HKMAAL) and an Adjunct Professor of the Singapore Management University. The CEDR Mediator Skills Training is a programme of comprehensive tuition in effective dispute resolution where participants are trained in the skills for effective mediation of commercial disputes. The course will run by three CEDR's training faculty members from the United Kingdom including Mr. Danny McFadden, the Lead Assessor as well as the Chairperson of a Working Group of HKMAAL, it highlights the differences between different mediation competency models and would be particularly useful for those who wish to undertake the HKMAAL Stage 2 Assessment. The course content has been proven and refined over 25 years of delivery. The module methodology is highly interactive containing role-play, practical exercises, live demonstration by trainers, and one-on-one coaching and feedback. By alternating the methods of demonstration and practice we take delegates through the phases of mediation training from the first day of the course. Skills and process are explored, looked at and tried in practical exercises. Case studies, based on actual mediations, are used throughout and participants will experience the role of mediator, adviser and mediation party. During the course each participant will experience the role of Mediator, Party and their Advisor. There is a coach with each group in every session, throughout the course providing guidance and input as the role play progresses and participants practise the skills at each stage of mediation. The training faculty coach small groups of participants through the case study and provide personal feedback to the Mediator of that session. The mediation sessions are interspersed with group discussions covering the key issues faced by the mediator. This is done in order to focus on what is going well for the Mediator and what areas are to be developed in preparation of the HKMAAL assessment. The coaching focused Module 1 is also devoted to equip the participant for the HKMAAL Stage 2 Assessment. Trained and experienced coaches will focus on an individual participant's needs in order to prepare them mediate effectively and undertake the HKMAAL assessment. This training course satisfies the HKMAAL Stage 1 General Mediator Accreditation Requirements which allows successful participants to apply for Stage 2 Assessment leading to accreditation as a HKMAAL Accredited Mediator. Please note you must apply directly to HKMAAL and undertake further assessment if you wish to obtain HKMAAL Accreditation. The course relies heavily on interactive teaching methodology. This demands a high level of competence in spoken English and comprehension from delegates. Participants will need to prepare thoroughly for this demanding programme and pre-reading should be reserved in advance of the course. A mediator handbook, case studies and role-plays are dispatched in advance and maximum benefit can only be achieved if all delegates are familiar with these key materials. 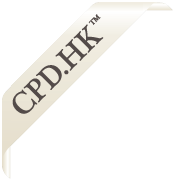 This module is for those experiencd mediators in Hong Kong or those who have undergone Module 1 or any HKMAAL accredited courses, who want to differentiate themselves in the competitive mediator marketplace in Hong Kong and establish that they are of a quality consistent with other mediators internationally. This course is currently the only public channel available in Hong Kong to be able to get recognition from CEDR, internationally recognised as the standard of excellence. Module 2 initates by recapping some of the fundamental mediation skills, followed by applied skills training provided to participants drawing on challenging issues experienced over the years by CEDR mediators in actual mediations. One-on-one coaching and feedback is the best way to focus on individual's strengths and areas for development, personalised coaching will be provided in order to equit the delegates in preparation of the assessment days. On Day 2 & 3, each participant mediates one simulated case on each day. A faculty member observes each session and assesses performance against a set of competencies. Individual feedback, group learning and discussion continue alongside this assessment. The Certificate of Accreditation is awarded to participants who demonstrate the level of competence to achieve the status of CEDR Accredited Mediator. The Foundation Course in Mediation Skills Certificate is awarded to acknowledge the participation of those who do not achieve accreditation, and an opportunity to be reassessed may be available for some participants. 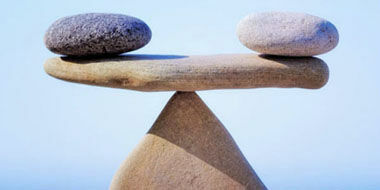 Or satisfactory completion of mediation training of a minimum of 40 hours duration. CEDR Accredited Mediator status is confirmation that an individual has demonstrated competence in mediation to the assessing faculty members in a training course environment. Draft Settlement Agreement - This is based on the case study undertaken in the course, the CEDR Model Settlement Agreement can be used as a skeleton for this assignment. Self-assessment - This is in relation to the strengths the delegates bring to mediation and the areas which the delegates feel need to work on. Action Plan - This assignment does not form part of the assessment, but by completing this assignment the delegates are able to put their plans into action and also give CEDR the opportunity to support delegates where appropriate.